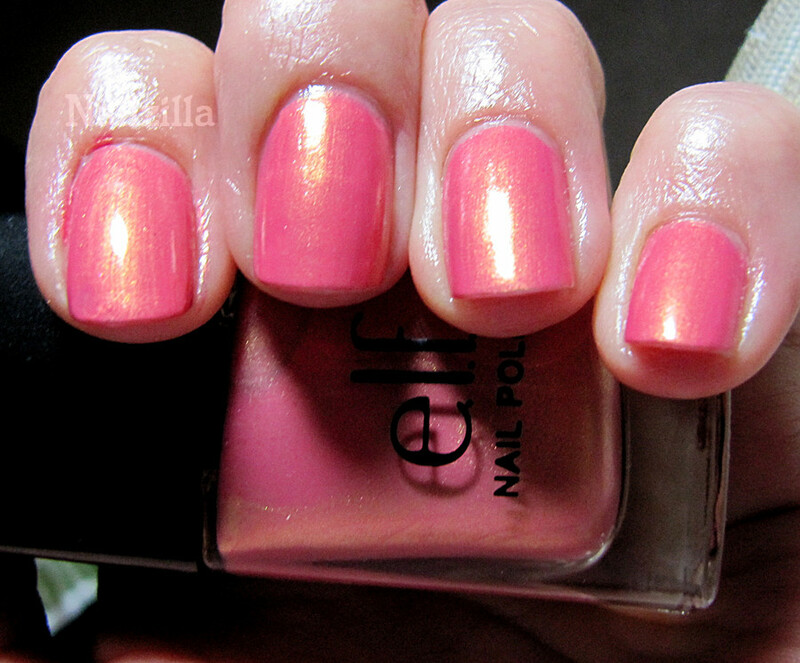 ELF Coral is a cool pink with very fine golden shimmer. The shimmer is barely seen, so it almost looks like a duochrome. Applies smoothly with 1 coat, I did 2 for the photos. It does chip and wear off easily, but that's not a problem for me, since I wear polish for 3 days at most. I like the way gold plays into the color on the nail, it reminds me of flower petals somehow. I did not expect to like this Coral so much but I do!